Dr. Deborah Snyder graduated from the University of Massachusetts/Amherst with a degree in Zoology and worked in research at the University of Colorado Medical School in Denver. Three years later she decided to pursue a career in Veterinary Medicine and graduated from the Colorado State College of Veterinary Medicine and Biomedical Sciences in 1986. Dr. Snyder has been practicing in Niskayuna since 1991. Dr. Snyder is married and has two grown sons who are presently pursuing their careers. Her extended family includes her dog, Sundance, and her cat, Leo, along with several fish. Dr. Snyder is excited to have her own practice and serving her patients and clients in Niskayuna! Dr. Snyder’s interests are Internal Medicine and Surgery and Dermatology. Dr. Chris Rocchio (pronounced “Rocky-O”) grew up in Bay Shore, New York and graduated from the Cornell University College of Veterinary Medicine in 1993. After graduation, he moved cross-country to Los Angeles, California to complete an internship in Small Animal Surgery and Emergency Medicine at the California Animal Hospital. For the next 6 years, he managed the Anderson Veterinary Hospital in California . In the year 2000, Dr. Rocchio returned to New York and started the East Greenbush Animal Hospital which is presently a five doctor practice. 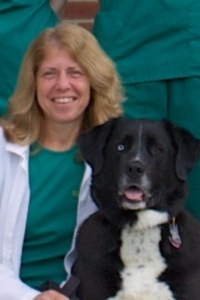 Dr. Rocchio is excited to be helping manage the River Road Animal Hospital with Dr. Debbie Snyder. Dr. Rocchio’s interests include stem cell therapy, soft tissue and orthopedic surgery including canine cruciate repair. 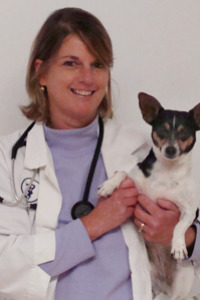 Dr. Jane Farrell (Neidhart) has been a practicing veterinarian in Saratoga County for the past 20 years. She graduated from the University of Florida with a BA in 1983, and studied in the Masters of Philosophy program for 2 years while teaching undergraduates and participating in a research fellowship from the Kellogg's Foundation. She went on to graduate in the top ten of her class from the University Of Florida College of Veterinary Medicine in 1989. She moved to Upstate NY to be closer to her family and the Adirondacks. Dr. Farrell's veterinary interests include pocket pets (particularly rabbits and ferrets) internal medicine, ophthalmology, dermatology, corrective cosmetic surgery, and pain management. She has a special place in her heart for geriatric patients (especially grumpy old cats!). In her non-veterinary life, Dr. Farrell is married to a bridge designer (John Neidhart) and is in that special club: a mother of 3 sons. She has a black lab mix named Harley, a toy fox terrier named Zoey, and is supervised by 2 cats who are ever so vigilant in seeing that she serves them well. Her favorite pastimes include downhill skiing, working out at the Y, hiking, gardening, and of course being a soccer mom. finish her bachelor’s and attend Veterinary school. 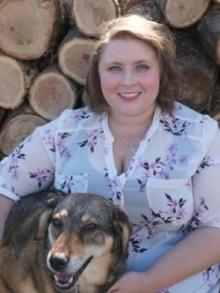 Before joining us Rebecca worked in a mixed animal practice seeing a wide variety of animals in the Adirondacks, but decided that she would like to move closer to home and focus her skills on companion animals. Rebecca is currently engaged to her high school sweet-heart Chris and the two of them share a home with 2 dogs and a cat. Dr. Robin Tobin graduated from New York University in 1978 and the Cornell University College of Veterinary Medicine in 1983. She has been working in the Capital District for the past 28 years at various veterinary hospitals as a relief veterinarian. Robin is married to Dr. Dan Tobin and has two grown sons. She likes to play ice hockey, practice yoga and hike in the Adirondacks. Currently, Dr. Tobin's areas of interest are dentistry, soft tissue surgery and ophthalmology. She looks forward to contributing to the River Road Animal Hospital in a compassionate manner.